As a gardener I want my entire family to benefit from what we grow. That includes the chickens and ducks. Fresh foods are important to the health of our chickens; healthier chickens means healthier eggs. When choosing our seeds to plant for the year, we keep the chickens and their needs in mind. 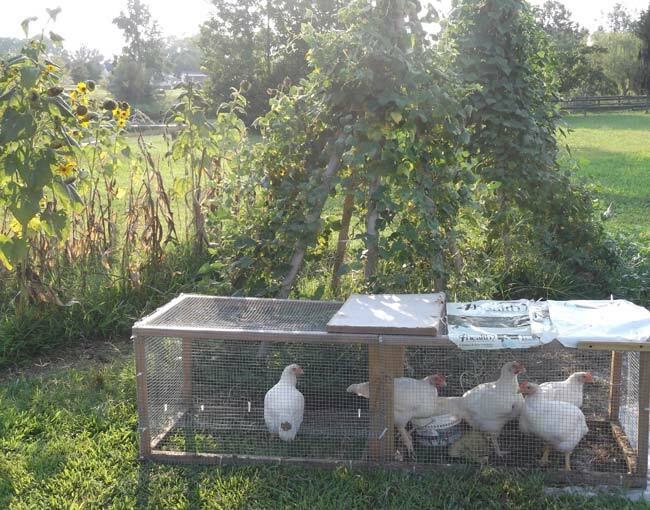 You may want to try gardening for your chickens, too! Spring Garden Beds – When you garden for your chickens, you can start early! We’re already growing greens to share with the chickens. Of course, you can’t let the birds wonder freely in the gardening. It’s a wonderful notion to think your chickens are out in the garden eating bugs and fertilizing as they go. The reality is they’re going taste test something off of every plant leaving you with ripped lettuce leaves and holey tomatoes. Your feathered gardening assistants will dust bathe anywhere they want, even if that means uprooting a few peppers or eggplants in the process. From my past experiences with predators, it’s just not the best option here to let my girls out to roam freely for their safety as well. When gardening for your chickens, letting them have free reign of the garden isn’t the best direction. With all that in mind, I still want them to have free produce and greens to graze on. Even if you have limited space it is possible to grow some healthy treats for your chickens and I want to share some options with you. Gardening for your chickens doesn’t mean letting them have free reign. Those beans sure look delicious, but the birds will have to settle for the weeds and bugs under their feet. There is always the option to use a tractor coop so they can be contained within the garden, and spare your plants. A tractor coop allows you move the flock to the locations you feel are best for your lawn and garden, and still keep your girls protected. If you find a tractor coop isn’t big enough for your flock, or you already have a stationary coop, maybe a a nice outing run like this Day Care for Chickens could work. At the end of the day, everyone can move back into their coop for the night and only use it for the hours you want them out in the garden. When you are gardening for your chickens, you can choose from a variety of great fresh vegetables, as well as produce you can dry and store as treats for over the winter months. I want to share a short list of my favorites, but there are really many more possibilities then these! 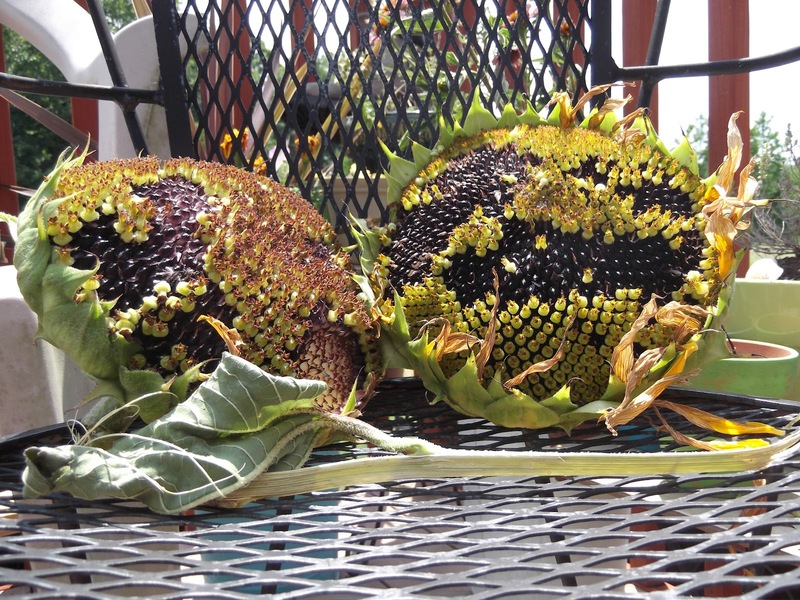 Drying sun flower heads to give to the chickens come winter. Not all things are safe for your chickens to eat, so research poisonous or harmful plants you shouldn’t make available to them. 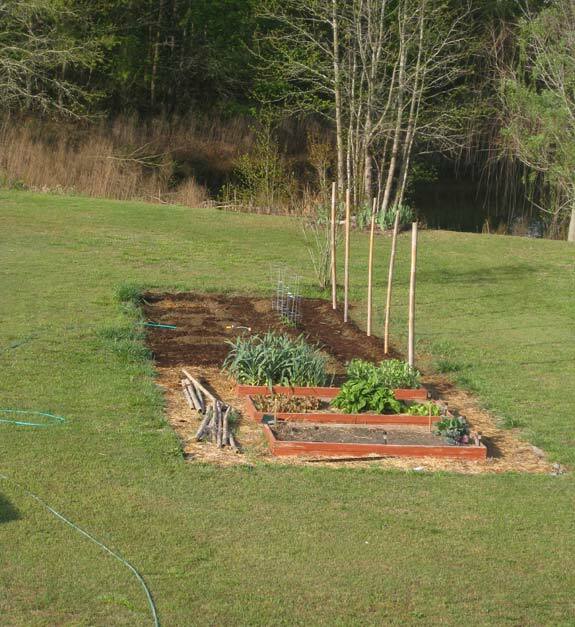 If you really would like to have to do less gardening work for your chickens to have access to fresh greens, and the tractor coop just isn’t an option perhaps you can try to grow directly in your chickens’ run. Of course pretty much anything that tries to live in your coop is unlikely to survive. 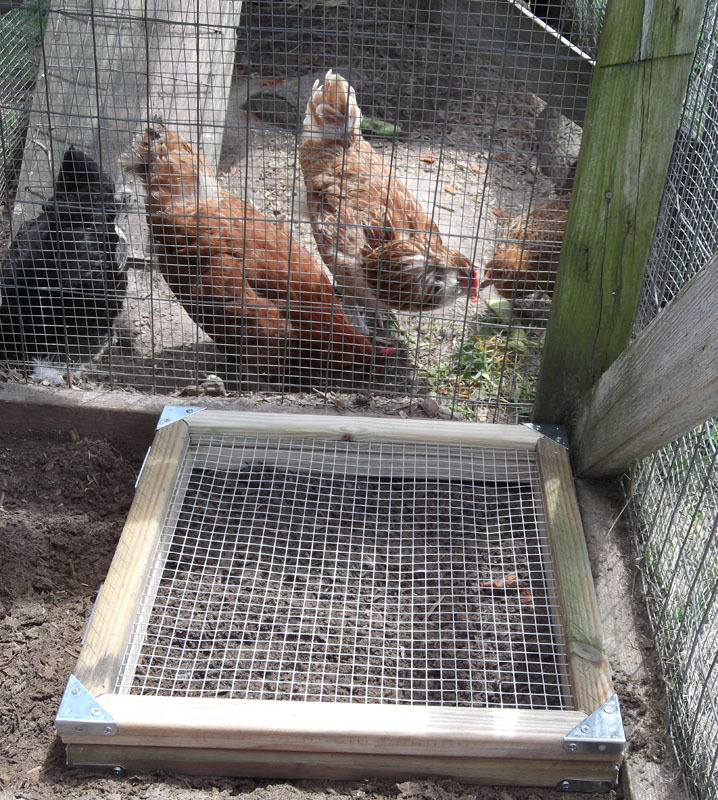 There is the option of a Chicken Run Raised Bed, which will protect the greens that are growing there for being slaughtered. It will allow your girls to enjoy the fresh tender tops of what you plant, while protecting the roots from being ripped out of the ground. I find that the Chicken Salad Seed Mix works really well for this application. One way of gardening for your chickens is to plant directly in the chickens’ run so they can enjoy fresh greens, without damaging plants. Do your girls have a favorite veggie you grow specifically for them? My girls just love spinach. They really go for it. They also like cabbage, but eat spinach the best. Thank you for this article. It is very helpful. When I put up the girls pen when I first got them I made the mistake of building it around my summer garden, lol. They were thrilled! 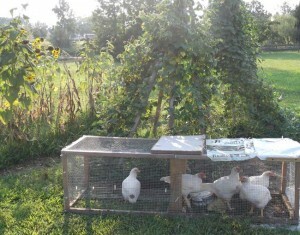 Hi Kristen, if the tractor is a permanent coop option you can add a nesting box for your chickens to lay in. Here’s some of the tractor coops on My Pet Chicken that show the nesting boxes build right on. My chickens HATE rhubarb. Is that normal? Hi Kim, Rhubarb leaves are actually poisonous. It is probably best not to offer it to them. Even the stalk is very bitter. 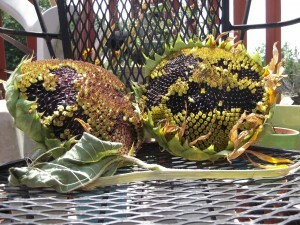 I think by nature, they know something is wrong with that plant and they shouldn’t eat it. I grow maize for my chooks and hang the cobs in their run for a treat. They love it. I’ve always kept my girls in a fixed run and lately (also being a keen gardener) have been thinking about buying a ‘Chicken Tractor’. This is such a cool idea that you can get rid of bugs on the garden, feed your chooks, turn the soil over a bit and manure as you go!